Native American flutes are one of the most wonderful instruments on Earth – their meditative and peaceful sound brings peace to listeners all over the planet. On FluteCraft, I believe everyone can build and play Native American style flutes, a tool not only of entertainment, but mainly a tool of self-healing: healing of emotions, offering confidence and inner peace. Obviously, I’m not a Native American. My real name is Wojtek. I live in EU and I’m a part time music composer. The Native American style flute came to my life thanks to an episode of “Northern Exposure” and it decided to stay. I’ve learned how to play and how to build this wonderful instrument, mainly by using the free resources of the Web. Here on FluteCraft, I pass on the knowledge with articles and tutorials. 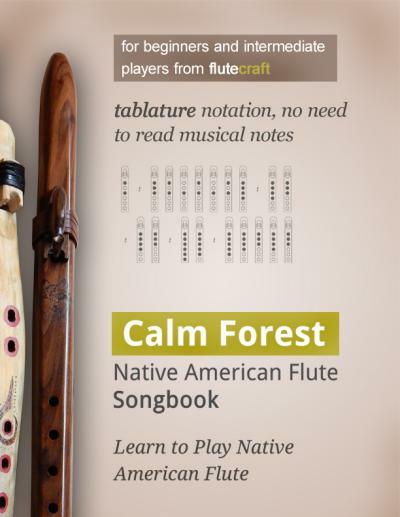 Here on FluteCraft, I share free knowledge, explaining how to build Native American style flutes, and how to play them. I believe in simplicity, and thus I always show how to use simple tools and simple techniques to enjoy the flute. There’s a lot of free stuff on FluteCraft and if you’d like to offer your gratitude, you can grab my songbook, Calm Forest, or send me a gift card, or even gift something from my Amazon’s wishlist.